Former Manchester United captain Wayne Rooney thinks Ole Gunnar Solskjaer is the only candidate to take the full-time manager's job. 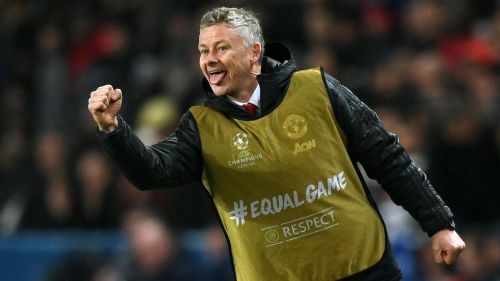 Solskjaer has revitalised United's form and morale since taking over on a caretaker basis following Jose Mourinho's departure in December. "He has gone in with simplicity and has brought belief back to the fans," United's record goalscorer told talkSPORT. "He has made the place enjoyable again to go into work every day. The staff around Carrington are enjoying working there again and that does rub off. When you see the staff happy around the players, it makes it a happy environment to work in. "He is doing a fantastic job and I'm sure he is the only candidate for Manchester United to take that job and it will be great to see him get it and bring some of the players he wants to bring in and keep moving the club forward." Given his United and Everton links, Rooney admits it would be tough to see Jurgen Klopp's side win the trophy. "It's a great reason to be out of the country when those two are going head to head for the title!" said the DC United man. "I remember in 2005 they won the Champions League and they're still talking about it now, so it would be another 10 or 15 years of that if they win the title!"